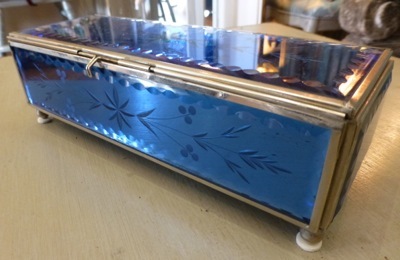 Gorgeous vintage etched and cut blue mirror box. 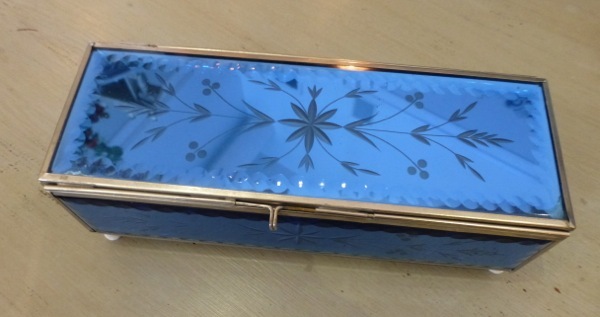 Etched floral design on all sides as well as the top with the inside lined in blue felt on the bottom. Measures 9" by 3.5" and is 3" tall and the pictures don't do this box justice!